I hit one of those glorious runs of really brilliant books one after the other over Christmas. Here are the three best in a bumper crop. This book won a lot of awards and I can really see why. Sometimes a book gets a lot of hype like that and I’m disappointed when I come to read it, but not this time. The initial hook is appealing, based as it is around a detective who is deaf. While that gives a unique perspective, in the hands of a lesser writer, it might become a bit of a gimmick. 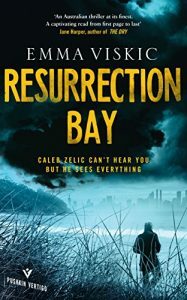 Viskic deals with it perfectly though, showing a real understanding of the obstacles the main character has to overcome and the unique perspective it provides. Rarely, this also had a twist in it that honestly threw me, which is a very rare thing in a book. It is also didn’t do that tedious ‘OMG! A TWIST YOU WON’T SEE COMING’ thing on the cover which I find really off-putting. Serious publishers – stop doing that! Your readers aren’t idiots. This book is perfect for the smart reader looking for something a bit different. This is another book I had seen mentioned in a lot of places and I’m delighted I finally took a chance on it. Not unlike Resurrection Bay, the hook is a great one. 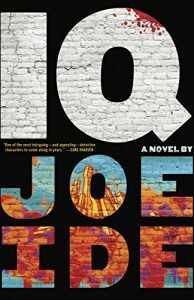 It is essentially a modern-day Sherlock Holmes who has grown up on the mean streets of L.A. Again, the author really beings you inside the culture and produces wonderfully well-rounded characters. For me, great crime fiction is all about the journey as opposed to just finding out ‘who done it’ at the end. 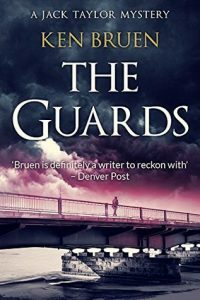 While the story here is perhaps a little uneven in places, there is a fantastic freshness and energy to the writing that carried me along effortlessly. This is some really wonderful writing from an author who I’ll be reading for many years to come. It is too my eternal shame that I hadn’t gotten around to reading any of Ken Bruen until now. A modern legend of Irish literature whose Jack Taylor series has rightfully won all kinds of plaudits – I guess I was worried of it being so in the area of what I’ve written in the Dublin Trilogy, that I didn’t want to run the risk of copying. Breun’s prose is beautiful, holding a wonderful undertow of poetry to it while staying well away from being overly-ornate. Jack Taylor is one of the finest achingly-realised portraits of a perfectly imperfect man I’ve ever read. Bruen does crime writing at simply a higher level than most could ever aspire to. he is truly brilliant. The only thing that annoyed slightly was the shoddy job the publishers did on the e-book but not even that could distract from Bruen’s genius. I’m hoping to read all of his work over the next couple of years.